With my heart beating fast in anticipation, I am thrilled to say: forty-two breads down, ONE to go! 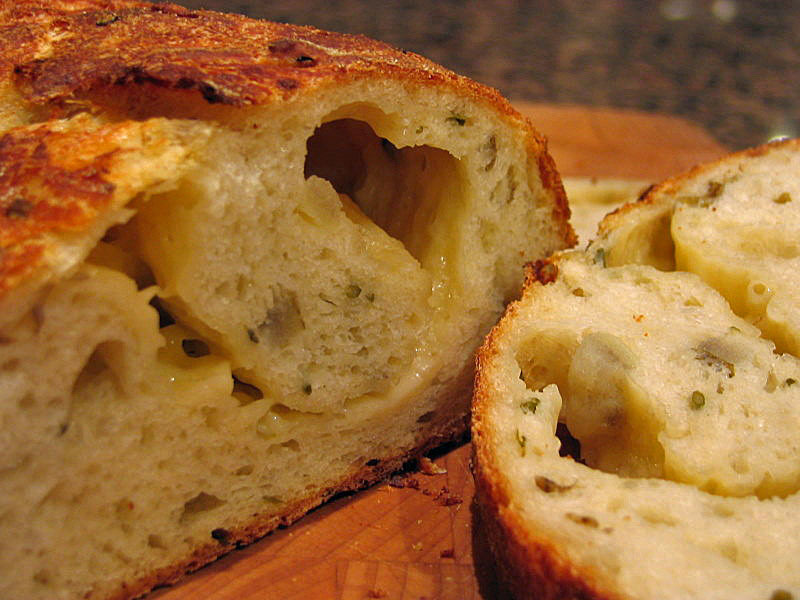 This bread is definitely one of my favorites, for several reasons. 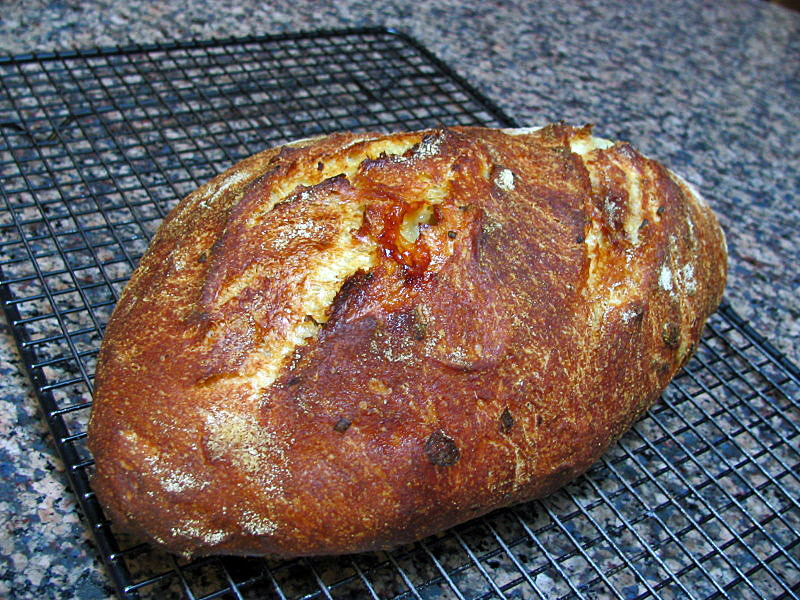 First, it uses a sourdough starter, which already makes me pretty excited about it. 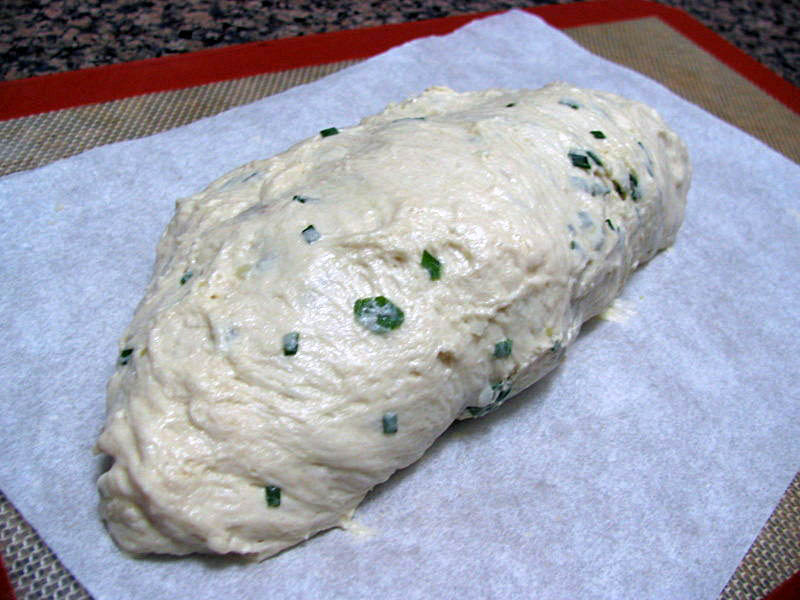 Second, it contains potatoes, a great addition to this kind of bread, as they give it moisture and a texture hard to reproduce in any other way. Third, it takes cheese rolled in the middle of the loaf. No need to explain the positive aspects of this. Too obvious for words. Did the recipe rise to my expectations? This was not a difficult bread to make. 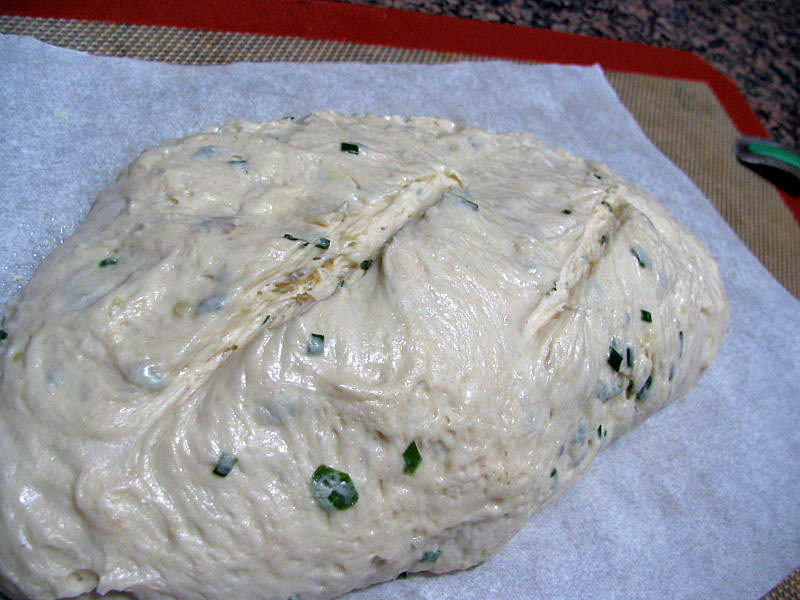 Because the dough takes a mixture of sourdough starter and commercial yeast, it rises quite fast: the whole process – from mixing the dough to baking – took just a little over 3 hours! 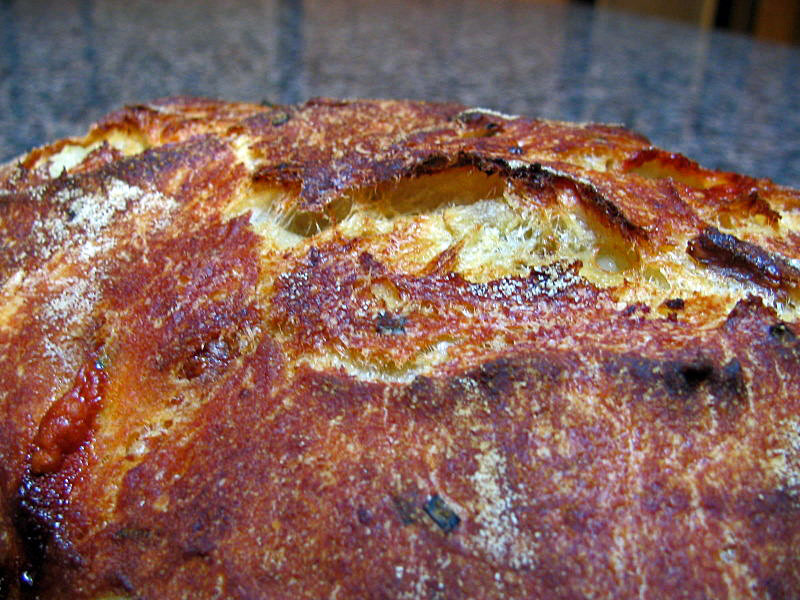 I used the full amount of potato water called for, hoping for a more open crumb. Instead of kneading, I folded the dough twice, at 20 and 40 minutes, then allowed it to rise undisturbed for another hour. Here are a couple of shots from the loaf right after shaping, and before going into the oven. I am sure I’ll be making this bread again and again. At first, my husband said he would prefer it without chives, but after a few bites, he agreed that they add a special flavor, quite unique. 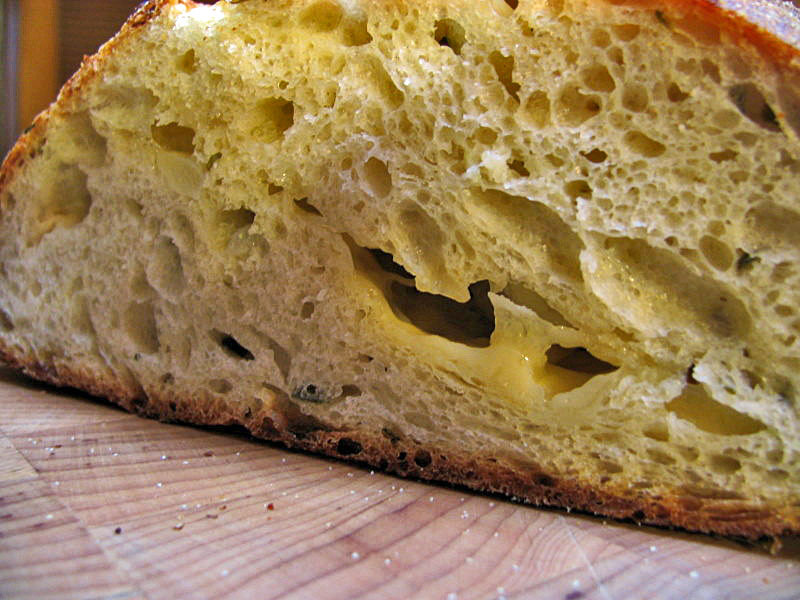 This is an impressive loaf, that would be perfect with an Italian-inspired meal. For Oggi’s blog, click here. For Paul’s blog, click here. I am submitting this post to Susan’s Yeastspotting event, Special Holiday Edition.